Dar'Vesh is a level 271 character with all perks and all skills at 100.Health,Magicka and stamina are all at 1000. main quest complete. all guilds complete. civil war complete impirial side. 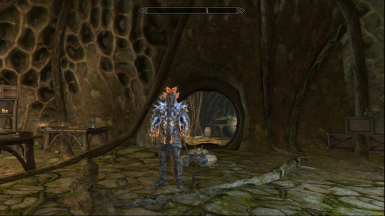 Dawngard complete vampier side.dragonborn complete.All 15 daedric artifacts.Wewewolf.Player Home solitude.Married to Aela the Huntress.